All mine sites have grounded electrical systems, so that in the event of a lightning strike or utility overvoltage or ground fault, the current would be able to find a safe path to earth or the neutral of the transformer. To ensure a reliable connection to earth, electrical codes, engineering standards, and local standards often specify a minimum resistance for the ground electrodes. This application note looks at how one of the world's leading mining and exploration companies uses Fluke's earth ground testers to maintain a safe working site. Rio Tinto is one of the world's leading mining and exploration companies. They find, mine and process the earth's mineral resources - metals and minerals essential for making thousands of everyday products that meet society's needs and contribute to improved living standards. Products include aluminium, copper, diamonds, energy products, gold, industrial minerals and iron ore. The company's activities span the world but are strongly represented in Australia and North America with significant businesses in South America, Asia, Europe and southern Africa. Rio Tinto has been at the forefront of sustained innovation and growth in the Pilbara region for more than forty years. Rio Tinto's iron ore operations in the Pilbara have expanded to an annual capacity of 220 million tonnes, with advanced plans to further expand. With a network of 12 mines, three shipping terminals and the largest privately owned heavy freight rail network in Australia, the company's Pilbara operations make up a major part of iron ore activities globally. Its operations began in 1966 and have expanded to meet the growing needs of the world's iron and steel industry. Rio Tinto is a world-class asset manager, operating and maintaining all mining, rail, power and port facilities in the Pilbara on behalf of asset owners Hamersley Iron and Robe River. Regular earth testing is a very important practice for mining companies such as Rio Tinto. The purpose of a ground, besides the protection of people and equipment, is to provide a safe path for the dissipation of fault currents, lightning strikes, transient over-voltages, static discharges, EMI and RFI signals and interference. A ground is a conducting connection, whether intentional or accidental between an electrical circuit or equipment and the earth, or to some conducting body that serves in place of the earth. It helps by stabilising the voltage to earth during normal operation, and limits the voltage rise created by lightning, line surges or unintentional contact with higher-voltage lines. In the event of an electrical fault or lightning strike anywhere in the vicinity of the mining area, a low-impedance ground electrode will help carry the energy into the earth. By keeping the potential gradient low, damage is minimised. Without an effective grounding system, workers could be exposed to the risk of electric shock, not to mention instrumentation errors, harmonic distortion issues, power factor problems and a host of possible intermittent dilemmas. If fault currents have no path to the ground through a properly designed and maintained grounding system, they will find unintended paths that could include people. Poor grounding not only contributes to unnecessary downtime, but a lack of good grounding is very dangerous and increases the risk of equipment failure. A good grounding system will improve the reliability of equipment and reduce the likelihood of damage due to lightning or fault currents. Over time, corrosive soils with high moisture content, high salt content, and high temperatures can degrade ground rods and their connections. Previous faults may have melted connections that aren't easily visible. So although the ground system when initially installed had low earth ground resistance values, the resistance of the grounding system can increase if the ground rods are eaten away from causes due to corrosion of ground rods, breaks in interconnecting wires and water table changes. Earth resistance is the resistance of the earth to the passage of electric current, and test results show the resistance offered by the earthing rods with the connection leads, which should be less than 1 Ohms in the case of Rio Tinto's installation. Resistivity defines a material's ability to conduct current, which is a complex property to measure within the earth as it is affected by several factors, including soil composition, mineral content, temperature and depth. Intermittent electrical problems at a mine site could be attributed to poor grounding or poor power quality. 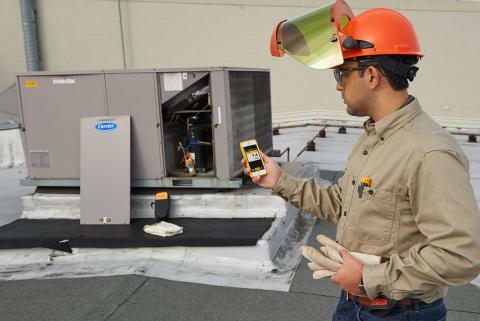 That is why it is highly recommended that all grounds and ground connections be checked upon installation and on an annual basis. During these periodic checks, if an increase in resistance of more than 20 per cent is detected, the technician should investigate the source of the problem, and lower the resistance by replacing or adding ground rods to the ground system. Rio Tinto conducts regular earth ground tests to ensure the operational safety of a mine. This is the first line of defense. 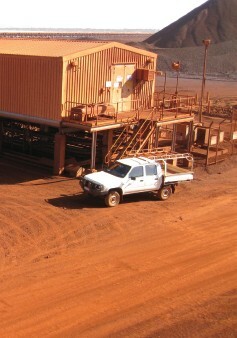 The ability to detect and monitor ground connections can provide valuable data for undertaking appropriate risk assessments for mining operations. Ground beds provide safety grounding of electrical equipments in mines. The goal in ground resistance is to achieve the lowest ground resistance value possible that makes sense economically and physically. Ideally a ground should be of zero ohms resistance. David Oxley, electrical supervisor at the reliability assurance department at Rio Tinto's Cape Lambert site in the Pilbara region, oversees these inspections. David said, "We need to ensure that earth grounding at all substations is at its peak performance, and that we are comply with statutory rules onsite." David and his team perform checkups at their substations regularly. Special instruments make it simple and easy for maintenance and safety teams to measure earth-resistance and troubleshoot problems. 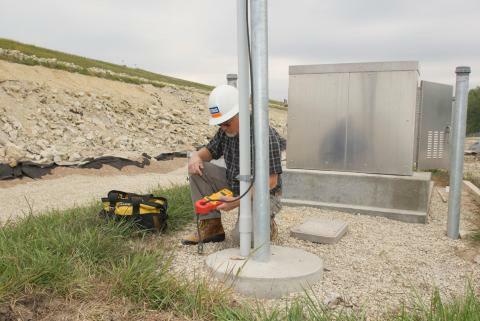 For Rio Tinto, the Fluke 1625 is used to measure the capability of the earth ground system at the substations. 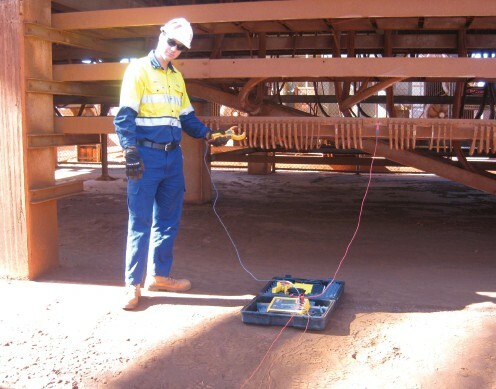 The classic Fall-of-Potential test method is used at Rio Tinto's Cape Lambert facility to measure the ability of an earth ground system or an individual electrode to dissipate energy from a site. Typically the earth electrode of interest must first be disconnected from its connection to the site. Second, the tester is connected to the earth electrode. Then, for the 3-pole Fall-of-Potential test, two earth stakes are placed in the soil in a direct line - away from the earth electrode, normally with a spacing of around 20 meters. By using the Fluke 1625 to generate a current through the two outer ground stakes (the auxiliary earth stake and the earth electrode), the drop in voltage potential is measured between the two inner ground stakes. Using Ohm's Law (V=IR), the Fluke tester automatically calculates the earth resistance. Earth resistance measurements are often corrupted by the existence of ground currents and their harmonics. To prevent this from occurring, the Fluke 1625 uses an Automatic Frequency Control (AFC) system. This automatically selects the testing frequency with the least amount of noise enabling you to get an accurate earth ground value. The Fluke 1625 is a distinctive earth ground tester. Not only does it measure ground resistance using the classic fall of potential test but also enable time saving testing using the selective method. Selective testing does not require the electrode under test to be disconnected during the measurement, thus increasing safety. The selective method allows testers to measure the ground resistance of a specific ground electrode without disconnecting it from an array or from a structure's distribution system. This means that safety hazards are minimised as there is no risk from disconnecting the electrode from a live system. With selective measurement, two earth stakes are placed in the soil in a direct line, away from the earth electrode, of around 20 metres. The Fluke 1625 is then connected to the earth electrode of interest, with the advantage that the connection to the site doesn't need to be disconnected. Instead, a special clamp is placed around the earth electrode, which eliminates the effects of parallel resistances in the grounded system, so only the earth electrode of interest is measured. A known current is generated by the Fluke 1625 between the outer stake and the earth electrode, while the drop in voltage potential is measured between the inner earth strake and the earth electrode. Only the current flowing through the earth electrode is measured using the clamp. The generated current will also flow through other parallel resistances, but only the current through the clamp is used to calculate resistance. "The Fluke 1625 also allowed us to perform testing without the need to shut down any of our 20 substations. This capability minimised downtime and gave us the freedom to conduct testing for all substations at any one time." Steve Hood, managing director at Fluke Australia said, "The Fluke 1625 is intended for electrical utilities or other high energy environments as it has extra versatility for more demanding applications. "Under these circumstances, the selective method is a much safer and easier method for earth ground testing for Rio Tinto, as there is no need to disconnect or shut down any of the substations in order to perform this test. The earth testing conducted to ensures a safe environment for all workers, and at the same time, maximises profit to investors by operating responsibly, with no downtime." David said, "The team learned how to use the Fluke 1625 tool almost immediately. There was a lot of training and support from Fluke to ensure that our requirements and needs were met. It is now an indispensable tool for us at the mines."